The Prince Online Museum curates all of the legend’s old websites. The home page of Prince’s digital online archive. Prince held a notoriously prickly attitude towards the internet, but he was also an early adapter and innovator of online music distribution. 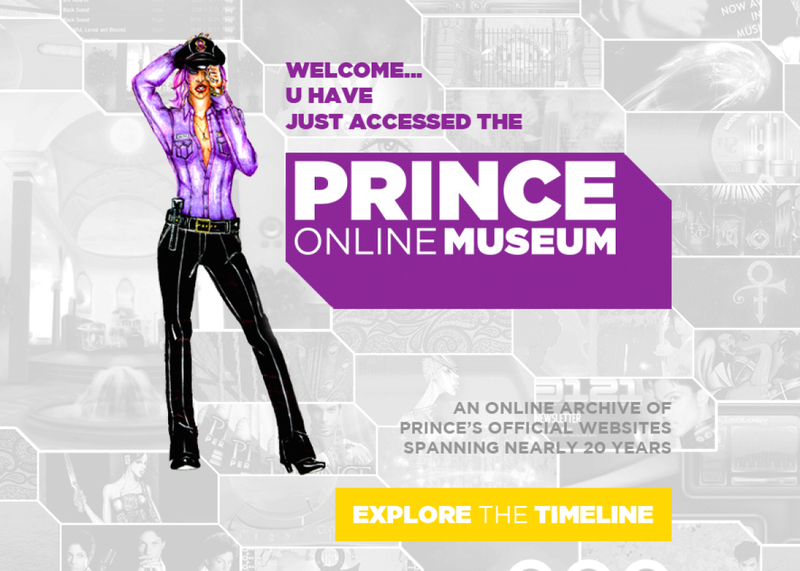 This is what the creators of the Prince Online Museum hope to highlight with their digital archive of his various websites from over the years. Throughout, you can peruse over a dozen of those sites—both official and unofficial, and spanning two decades, including NPGMusicClub.com and 3rdEyeGirl.com. Many of the sites have been restored and are available to view in their original form, accompanied by a short, informative Q&A with one of the designers behind them. (Those same designers were directly involved with these archives, and they’ve notably taken care to remove all monetary links for purchasing music and other products. “This is a 100 percent free experience 4 display purposes only 2 show off the work we created, and 2 give fans a way 2 remember what Prince accomplished online,” they state in their FAQ section.) A few sites are even broken down and presented based on their incarnations in different years—there’s a 2006 and 2007 version for 3121.com, for instance. There’s much for fans to check out here, but as the online museum makes clear, Prince’s online presence was incredibly expansive—so it seems likely that there will eventually be even more treats to revisit in the future.